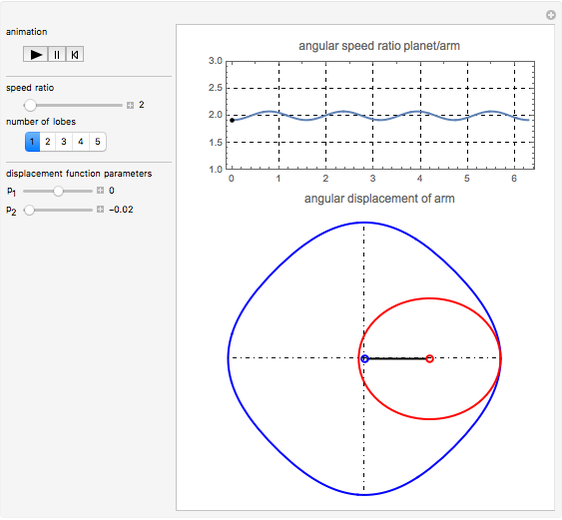 This Demonstration simulates a noncircular planetary roller drive by two curves (ring and planet), with the inside planet rolling without slipping. The arm connecting the center of the two curves is driven at a constant speed; the outer ring curve is stationary. 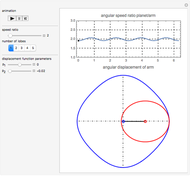 The planet curve turns at a variable angular speed proportional to the ratio between the radii of the two curves at their contact point. 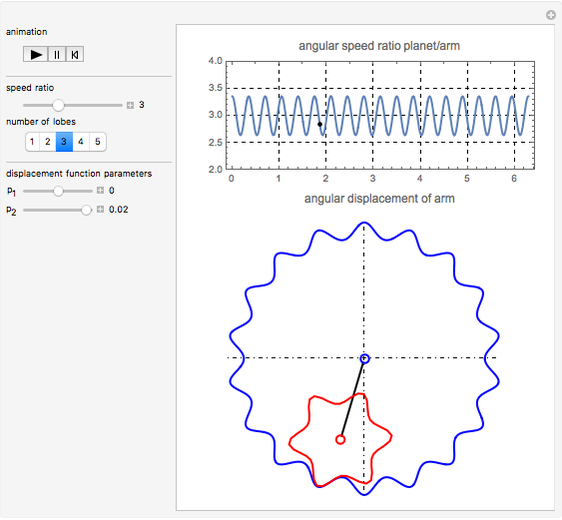 These curves can be interpreted as the pitch lines (or centrodes) of real-world gears. Not all combinations of , (the number of lobes, teeth, or leaves), , and are practically feasible since some choices may cause the curves to overlap. 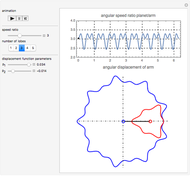 The cumulative angular displacement function that generates the ring curve is given by . The radii at the mutual contact point are and . These are effectively the polar equations of the two curves. 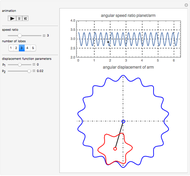 For a good article about noncircular gears, see . 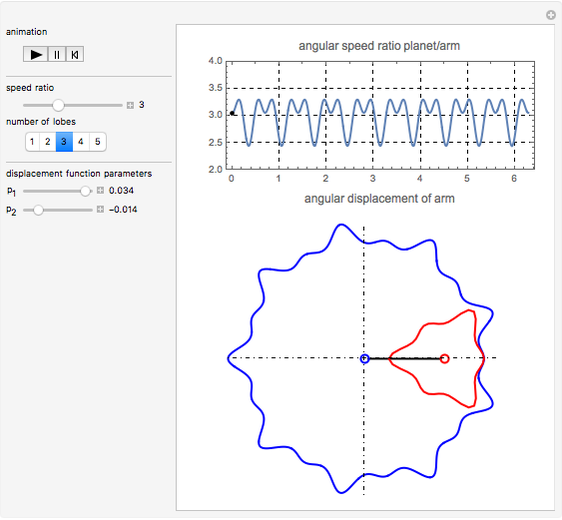 J. Doric, I. Klinar, and M. Dori, "One Approach for Modelling Intermittent Motion Mechanism with Noncircular Gears," Machine Design, 3(2), 2011 pp. 121–126. www.mdesign.ftn.uns.ac.rs/pdf/2011/no2/121-126.pdf. Erik Mahieu "Noncircular Planetary Drive"